Teens taking over community boards? Residents as young as 16 would be able to take seats on the city’s 59 community boards if a movement in the State Legislature to lower the age of eligibility is successful. This week, the City Council’s Governmental Operations Committee voted unanimously to approve a resolution introduced by Councilman Ben Kallos (D-Upper East Side) at the suggestion of Manhattan Borough President Gale Brewer that calls on the full council to support a bill in the State Legislature that would amend the state’s Public Officers Law and would allow for a change in the City Charter to allow young people to serve. The state bill was introduced by state Sen. Andrew Lanza (R-Staten Island) and Assemblywoman Nily Rozic (D-Queens). Under current law, community board members have to be at last 18 years of age to be able to serve as full voting members. Lowering the age of eligibility to 16 has the potential to transform community boards. Getting more young people involved in the process could make New York a better city by creating a more active, involved electorate, Kaszuba said. “The best way to get young people involved in the process is to get them involved early,” he said. Community boards are made up of 50 non-salaried members appointed by borough presidents and council members. The boards cover a neighborhood and serve as advisory panels to city government, offering recommendations on how the city should handle such issues as land use and crime and how the delivery of city services like sanitation could be improved. Teenagers could also be able to provide important input to community boards on vital issues, according to Kaszuba. “We have an epidemic drug problem in this city. It would be great to get their opinion on what to do about it,” he said. Council members Maria Del Carmen Arroyo, Andrew Cohen, Costa Constantinides, Andy King, Brad Lander, Antonio Reynoso, Deborah Rose, James Van Bramer, Rosie Mendez, Carlos Menchaca, Donovan Richards and James Vacca also sponsored the Kallos-led resolution. It’s not clear if the Lanza-Rozic bill will pass, given the fact that the clock is winding down on the legislative session in Albany, but supporters said they are confident that they have planted a seed that could blossom in the next session. The session is scheduled to end on June 19. “Sixteen- and seventeen-year-olds bring much-needed perspective, energy and commitment to their local community boards. I have been deeply impressed by the dynamism of the teenagers who have expressed interest in public service through community boards, and they should be empowered to assist their neighbors instead of prevented from participating in public life,” Kallos said. 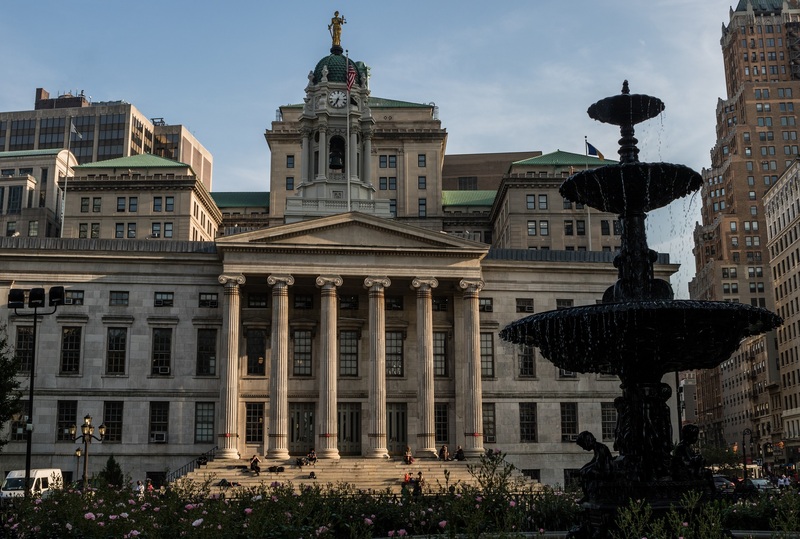 The council measure is called the “Stringer Resolution” as a nod to City Comptroller Scott Stringer, who made history many years ago when he obtained special permission to join his local community board as a teenager. “Community boards are intended to be the voice of our neighborhoods, and as such it is important to recognize that teenagers bring a very important perspective to so many issues, from schools and parks to transportation and development. I was privileged to get a seat at that table at a young age, and I am thrilled that through this legislation more of our young people will get a chance to be active participants in the life of our great city,” Stringer said.